Huawei launched new metal uni-body smartphone which made with advanced nano-manufacturing technology, Huawei P8 design is inspired by classical elements of leather-bound handcrafted book binding which is future design. 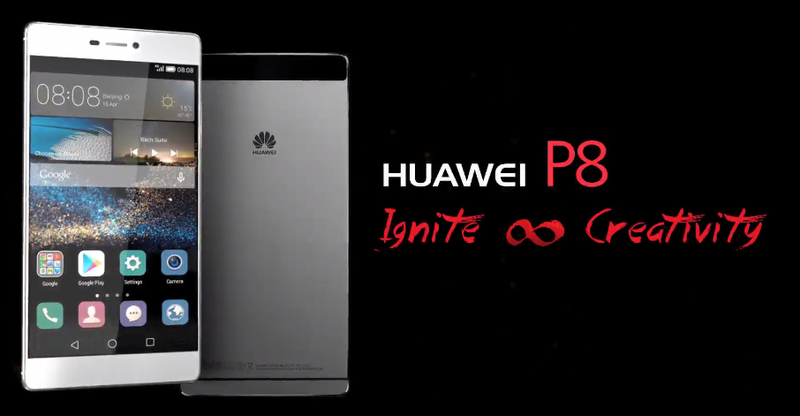 Huawei P8 a classic smartphone in your hand, P8 provide you with more power and speed than you have ever expected from a smartphone because its all 8-cores running on 64-bit. 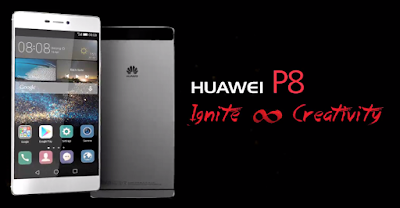 Huawei P8 comes with a camera that can produce consistently stunning image and it has DSLR-level image signal processor. Android OS, latest version 5.0.2 (Lollipop), 2 GHz Quad-Core Cortex-A53, 1.5 GHz Quad-Core Cortex-A53, Processor, 16 GB / 64 GB built-in Storage, 3 GB RAM, microSD card (supports up-to 128 GB), Bluetooth version 4.1, A2DP, LE, USB (microUSB version 2.0, USB Host), WLAN (Wi-Fi 802.11 a/b/g/n, dual-band, Wi-Fi Direct, DLNA, hot-spot), GPRS, EDGE, 3G, 4G LTE, 5.2 inches screen with 1080 x 1920 pixels, Dual SIM, FM Radio, Audio/Video Player, Games, GPS + A-GPS support, Nano Sim with dual standby. 13 Mega-Pixel Rear camera with 4160 x 3120 pixels, auto-focus, optical image stabilization, dual-LED (dual tone) flash, Geo-tagging, touch focus, face/smile detection, panorama, HDR, video 1080 pixel @ 30fps and found 8 Mega-Pixel Front camera for SKYPE and video calling.